How can I raise Godly children in an ungodly world ? Block early, stain late. Things you should appreciate! What Does Heaven Have to do with my Practice? Will LASIK still be King of Refractive Surgery in the Next Decade? Dan is an ophthalmologist in private practice for 29 years in a small Texas community. He has been married to Karen for 37 years and has 5 children and 5 grandchildren. He has been involved with numerous short-term eye care projects in many countries including Romania, Iraq, Jordan, Egypt, West Bank Israel, Nigeria, Djibouti, Eritrea, Ethiopia, Togo, Guinea, Gambia, Armenia, Honduras, Guatemala, Belize and Fiji. He enjoys lake surfing, anything to do with his tractor and college football. Jamie's eye career began when he was 9 when he catapulted a lincoln log into his eye. In high school, he put these aspirations on hold to try out for the junior national luge team. Despite making the team, Jamie's passion for pursuing a medical career won out and he relegated luge to an occasional hobby instead of a gold medal pursuit. A highlight of the college years was eating pizza with monkey topping on a river in the rain forest in Ecuador with Steve Saint and brothers who had been converted to the gospel after spearing Steve's father when Steve was a boy. While some of Jamie's college years were spent studying, he devoted most of his time to pursuing a girl named Halle. He finally wore her down and convinced her to settle for marrying him despite her being way out of his league. A significant portion of Jamie's medical school and residency years were spent as a high school youth group leader, probably primarily because it matched his maturity level. In residency Jamie learned valuable lessons such as how to pray with patients. He also learned things from Dr. Kyle Smith like how to dance with a Mexican stranger on a mission trip. Ask him. Good story. Since residency Jamie and Halle adopted 3 of the most active children that now attend the children's program at COS regularly. This is Jamie's 12th time at COS but only his 7th time as a paying customer and 1st time as a speaker. COS has contributed to a passion for short term missions and a focus on evangelism in the workplace every day and Jamie is extremely grateful to be a part of its ministry as a COS Board member. Jean was born in Mount Ayr, Iowa, and raised in Independence Missouri. She started UMKC 6 year school of medicine at the age of 17, and graduated in 1981 with her combined BA / MD. Her internship and ophthalmic residency training were completed at Mayo Clinic Department of Ophthalmology in 1985. Jean started her career in private practice in the Greater Kansas City area where she worked as comprehensive ophthalmologist with emphasis on cataract and refractive surgery, and volunteered teaching at the UMKC department of Ophthalmology. Over the years Jean served as medical director for the Kansas City Free Eye Clinic, was promoted over the years to the level of Professor, and worked as Residency Program Director at the UMKC Department of Ophthalmology. While there, she was awarded Teacher of the Year. Jean and Jim moved to Oklahoma in January of 2012 where Jean joined Dean McGee Eye Institute. In 2013, Jean was instrumental in the start up and maintenance of the Lawton Council for the Blind, and remains actively supportive. Over the years, both Jean and Jim have served as board members for the Oklahoma Hearts that Care free medical clinic, and Oklahoma Friends of the Wichita Mountain Wildlife Refuge governance board. Jean has served as Associate Examiner for the American Board of ophthalmology since 1994, and has written MOC, DOC, POC, WQE, and oral exam questions during that time. Since 2011, Jean has served as chair of the AAO Committee for Resident Education, where she has overseen the EyeSi normative data project, Online pathology project, and Medical Student Education Project. Previously Jean served as president of the Missouri State Medical Board, president of Missouri Academy of Eye Physicians and Surgeons; and is current President of the Oklahoma Academy of Ophthalmology. Currently, Jean is President Elect of the Oklahoma State Medical Association, and is slated to become president in April of 2018. In 2014, Jean served as Executive Editor and Sectional Editor for Anterior Segment Surgery, Refractive Surgery, and Globe Trauma Surgery in the 2nd edition of the AAO textbook, Basic Techniques in Ophthalmic Surgery. Jean traveled to Swaziland with Dean McGee Eye Institute in 2016, and has since returned multiple times to Africa where she and Jim enjoy serving others. Jean and Jim attend Apache Cowboy Church where they participate on the praise team, and hold a non-denominational community fellowship gathering at their home each month. Together they enjoy their 6 grandchildren ages 3 to 8, and 6 grown adult children and spouses. Jean and Jim reside in rural southwest Oklahoma. Dr. Siapco is very active in overseas missions to help eradicate preventable blindness in the developing world. He has traveled to Central and South America, Asia, and Africa on various medical mission trips. Dr. Siapco is passionate about Christian music and is a guitar player and songwriter for the band Aldersgate. He and his wife Wendy have been blessed with two sons, Christian and Asher. Steven R. Sarkisian, Jr., MD is the director of the glaucoma fellowship at the Dean McGee Eye Institute and serves as a clinical professor of Ophthalmology at the University of Oklahoma in Oklahoma City. Born in Philadelphia, Pennsylvania, Dr. Sarkisian received his undergraduate degree from Wheaton College, in Illinois where he graduated with honors. Following college, Dr. Sarkisian did graduate work at Westminster Theological Seminary in Philadelphia. Remaining in Philadelphia, he received his MD degree from Jefferson Medical College followed by an internship at Chestnut Hill Hospital. Dr. Sarkisian completed an ophthalmology residency at the State University of New York Health Science Center (SUNY Downstate) in Brooklyn, New York and did a fellowship in glaucoma at the Hamilton Eye Institute at the University of Tennessee Health Science Center in Memphis, following which he was asked to stay on the faculty where he served until July 2006. Dr. Sarkisian joined the faculty at the Dean McGee Eye Institute in August 2006. Dr. Sarkisian has an active interest in surgical innovation for the treatment of glaucoma with involvement in numerous clinical trials, particularly involving MIGS, or micro-incisional glaucoma surgery. He is a Primary Investigator in the iStent Supra trial, a multicenter, prospective clinical trial investigating this new supraciliary stent for the treatment of mild to moderate glaucoma. He is also a Primary Investigator in the iStent Inject Trial, another large FDA pivotal trial investigating the next generation trabecular microbypass stent. He was a PI for the Compass trial, the FDA trial that lead to the FDA approval of the CyPass supraciliary micro shunt that is now being implanted. Finally, he is a PI in the Glaukos iDose trial, the FDA trial investigating a new sustained release medication implant that if successful, will potentially replace the use of eye drops for this class of IOP lowering drug. Other clinical trials where her served as a PI include: The Ologen vs. Mitomycin-C study, a multicenter, prospective randomized trial comparing these two methods of wound modulation in glaucoma filtration; the Ex-Press vs. trabeculectomy trial (XVT Study), the Ahmed-Baerveldt Comparison Trial (ABC Study) and for the pilot studies which have taken place for the EagleVision glaucoma drainage implants. He has been a co-investigator on the Trabeculectomy vs. Tube Study (TVT Study), the Primary Trabeculectomy vs. Tube Study (PTVT), the Inn Focus micro shunt trial, and the Anecortave Acetate study. Certified by the American Board of Ophthalmology, Dr. Sarkisian is also a member of the American Glaucoma Society, the Chandler-Grant Glaucoma Society, the American Academy of Ophthalmology, the American Medical Association, the Association for Research in Vision and Ophthalmology, the American Society of Cataract and Refractive Surgery, the European Society of Cataract and Refractive Surgery, and numerous other international, local and state ophthalmology societies. Matthew Cooke grew up in Berrien Springs, MI as the son of an ophthalmologist. He spent his summers before medical school working at his dad's office as a scribe, where he worked with Stan Pletcher (COS president). After attending medical school at University of Michigan, he completed ophthalmology residency at Medical College of Wisconsin and glaucoma fellowship at University of Oklahoma (Dean McGee). He is married to Sarah, a mental health counselor and a fellow Michigander, and recently moved to Eau Claire, WI to join Mayo Clinic. Leon W. Herndon, Jr., MD, is a Professor of Ophthalmology at Duke University Medical Center in Durham, North Carolina. He earned his MD from the University of North Carolina at Chapel Hill School of Medicine, and served his internship and residency at the University of North Carolina Hospital in Chapel Hill. Dr. Herndon then completed a clinical fellowship in glaucoma at Duke University Medical Center in Durham, North Carolina. Dr. Herndon is a member of the American Academy of Ophthalmology (AAO) and the Association for Research in Vision and Ophthalmology. He is on the editorial board of Glaucoma Today. He is an Associate Examiner for the American Board of Ophthalmology and has been involved in the Leadership Development Program of the AAO. He has authored numerous papers, lectured nationally and internationally, and participated in several research projects related to glaucoma. He currently serves as Chief of the Glaucoma Division at the Duke University Eye Center. Dr. Herndon has been recognized for his service in the community by receiving the Senior Achievement Award from the AAO and the Dedicated Humanitarian Service Award presented by Dr. Leonel Fernandez Reyna, President of the Dominican Republic, on the occasion of the 2nd Ophthalmology Mission in the Dominican Republic. He received the “Service to Mankind” Award from the Hillsborough Sertoma Club in. Dr Herndon is the recipient of the Distinguished Medical Alumnus Award from the UNC School of Medicine. Dr. Steven Ma began his interest in eyes during a 1987 summer research project in Glaucoma at the University of Toronto, followed by a 1988 summer research program in Glaucoma at the Jules Stein Eye Institute at UCLA. Although he eventually became a refractive surgeon, he has always maintained an academic interest in Glaucoma. While in private practice, he discovered he had glaucoma. This was a personally devastating discovery. Since then he has become acutely aware of the perspective of the glaucoma patient, and transferred that personal experience to his practice, both as a physician, and a fellow Christian. Dr. Steven Ma currently is in part-time practice, sharing office space and doing locums with other ophthalmologists in Vancouver, British Columbia, Canada. Kurt Heitman is a former flight surgeon and ophthalmologist with the US Air Force. He resides with the love of his life, Robin, in Greenville, SC where he practices comprehensive ophthalmology and is an associate clinical professor of the University of South Carolina School of Medicine. He is an owner of Southern Eye Associates and a founder of Surgeons for Sight, a 501(c)(3) charitable foundation meeting the vision needs of the disadvantaged in the upstate of South Carolina. His proudest achievement is helping his wife raise two sons. His hobbies include scuba diving, fly fishing and anything else that keeps him close to his sons and wife. Dr. Shields began his career in ophthalmology as a resident at Duke University. Following a glaucoma fellowship at the Massachusetts Eye and Ear Infirmary of Harvard University, he returned to Duke in 1974 as Director of the Glaucoma Service and was appointed Professor of Ophthalmology in 1984. He moved to Yale University in 1996 where he served for ten years as the Marvin L. Sears Professor and Chairman of the Department of Ophthalmology and Visual Science and remained on the full time faculty until his retirement in June, 2011. Dr. Shields has published 10 books, 36 chapters in other books and over 180 scientific papers in referred journals. His Textbook of Glaucoma is in its sixth edition and was cited in the year 2000 among 100 important ophthalmology books of the twentieth century. It has been translated into Spanish, German, Japanese, Portuguese and Chinese and his Color Atlas of Glaucoma has been translated into Chinese. His research interests have included secondary glaucomas, evaluation of the optic nerve head in glaucoma and laser and incisional surgeries for glaucoma. He coined the term Axenfeld-Rieger Syndrome and worked out the mechanism for that spectrum of disease. In 1980, he described the gray crescent in the optic nerve head. In May, 2006, he was issued a patent for a uveoscleral glaucoma drainage device, which led to the formation of a start-up company, Vidus Ocular. The company was subsequently acquired by OPKO Health, which sponsored clinical trials. In addition to his research and scholarly activities, Dr. Shields enjoyed a busy clinical practice. For more than a quarter century, he was cited in nearly every list of Best Doctors in America. His greatest joy, however, was as an educator. He participated in the training of over 130 residents and 50 glaucoma fellows at Duke and Yale. At Duke, he received the Golden Globe Award for outstanding attending of the year in his department and the Davison Council Award for excellence in teaching from the School of Medicine, and at Yale he received the Excellence in Teaching Award, which now bears his name. He has given 46 named lectures, served as visiting professor at over 50 universities, and has been a guest speaker at 150 major meetings in the United States and 34 outside the US. The Annual Shields Glaucoma Lecture was established at Yale in 2007. He received the Lifetime Achievement Award from the American Academy of Ophthalmology in 2008 and was Guest of Honor at the annual Academy meeting in 2014. He was the annual honoree of the American Glaucoma Society in 2008 and received the Society’s President’s Award in 2010. In 2016, he was awarded Physician of the Year Academic Medicine by the Oklahoma College of Medicine on the 50th reunion of his medical school class. Dr. Shields has served as President of the American Glaucoma Society, the North Carolina Ophthalmology Society and the Chandler-Grant Glaucoma Society. He has been Chairman of the Board of Directors of the American Board of Ophthalmology, the Glaucoma Committee of the National Society to Prevent Blindness and the Glaucoma Program Committee of the Association for Research in Vision and Ophthalmology. He has served on several committees of the American Academy of Ophthalmology, the Residency Review Committee for Ophthalmology and the American Board of Medical Specialties. In retirement, he has completed and published a book entitled Gifts and Sight, which tells stories of patients he cared for at Duke and Yale and the lessons he learned from them. He continues to teach residents as a volunteer at Duke and started a free eye clinic in his home town of Burlington, NC. He is also involved in community activities, including Habitat for Humanity, Meals on Wheels and a Furniture Ministry in his church. Jessica is a daughter of the King, wife to an amazing husband, and mother to three delightful children. Born and raised in Ypsilanti, Michigan, she has been working alongside her ophthalmologist husband in Africa since 2009. In 2013, their family and team moved to Kibuye Hope Hospital in Burundi, East Africa to transform a rural mission hospital into a university teaching hospital. Trained as a secondary mathematics teacher with a Master’s in ESL, she now finds herself teaching elementary math to the team's kids and supervising their Kirundi language classes. In addition to teaching, she serves with her husband as Team Leader, focusing on team administration/logistics and member care. Halle is a woman who tries to daily walk in faith in the places God has put her. She and her husband, Jamie, are busy raising 3 children, Nathaniel (7), Alexandra (5), and Victoria (5). In her spare time she is the head cross country coach and assistant head track and field coach at Liberty Christian Academy, the largest private school in Virginia. ChOSEN exists to Faithfully share the Gospel of Jesus Christ through compassion and restoration of sight through ophthalmic surgery. Our mission is to preserve the vision and quality of life for people with glaucoma through micro-scale technologies that achieve sustained reduction in intraocular pressure and reduce the risks and challenges of traditional therapies. We exist to create and deliver innovative software solutions that empower eye doctors to optimize and personalize patient care. Veracity’s powerful and intuitive tools help you with eye surgery from the moment you decide to suggest surgery through the entire planning and scheduling process. It then guides you and your surgical team through the surgery itself. Ultimately, these tools work together to improve your efficiency, eliminate errors, and improve your patient outcomes. New World Medical is a global ophthalmic device company dedicated to preserving and enhancing vision by delivering innovations to all of humanity. Our firm pursues this mission by developing, manufacturing, and commercializing cutting-edge medical devices such as the AHMED® GLAUCOMA VALVE and the KAHOOK DUAL BLADE® intended to alleviate the suffering of glaucoma patients. New World Medical also supports the vision of benefiting humanity through partnerships with eye care professionals that utilize medical missions to deliver high quality care as well as promote the transfer of surgical skills for enhanced and sustainable eye care delivery. Sight Sciences is a medical device company serving the ophthalmic community and dedicated to the development of technology-driven solutions that address the underlying physiology of eye diseases. The company operates two business lines: surgical and non-surgical devices. Its surgical product portfolio comprises the VISCO™360 Viscosurgical System and TRAB™360 Trabeculotomy System, which provide 360-degree access from a single corneal incision. The VISCO™360 Viscosurgical System uses an advanceable microcatheter to facilitate the delivery of controlled volumes of viscoelastic fluid anywhere in the anterior segment. The TRAB™360 Trabeculotomy System uses a flexible trabeculotome to cut up to 360 degrees of the trabecular meshwork. For more information, please visit www.sightsciences.com. HelpMeSee is a non-profit organization committed to ending the global health crisis of cataract blindness, the leading cause of preventable blindness. Working with partners around the world, along with a focus on training using cutting-edge technology, HelpMeSee aims to build sustainable solutions to eliminate cataract blindness. Untreated cataracts impact at least 20 million blind people and another 82 million visually impaired would go blind without cataract surgery, which remains out of reach to millions in the developing world who cannot access or afford treatment. HelpMeSee’s solution is to use simulation-based training for the thousands of cataract specialists needed to support safe, high-quality surgery to millions in need. HelpMeSee’s approach is focused on developing a high-fidelity simulator to train skilled surgical specialists in Manual Small Incision Cataract Surgery (MSICS), a cost-effective and high-volume procedure that has proven safe and effective to restoring sight. Based on the success of simulation training in commercial aviation, HelpMeSee’s Eye Surgical Simulator enables the rapid transfer of surgical skills to proficiency, in a virtual reality learning environment which allows for immersive training without any risk of harm to live patients. In addition to training, HelpMeSee has developed sustainable solutions to reducing blindness. HelpMeSee’s Reach App enables community health workers to canvas communities using a smartphone to identify prospective patients and refer them to local hospitals and receive treatment. Qualified patients can receive treatment using HelpMeSee’s pre-sterilized, single-use surgical kit which provides all the tools and pharmaceuticals needed to perform standardized MSICS procedure. Patient data and surgical reports are recorded in our cloud-based reporting system to ensure high-quality outcomes for every patient. Since 2012 HelpMeSee has supported over 256,000 sight-restoring cataract surgeries, working with 303 partner surgeons in 11 developing countries across Asia, Africa, and Latin America. We are committed to transforming the world’s vision, bringing healthy vision to everyone, everywhere, every day. Johnson & Johnson has completed the acquisition of Abbott Medical Optics (AMO), which brings ophthalmic products in three areas of patient care: cataract surgery, laser refractive surgery (LASIK) and consumer eye health. IRIDEX is a worldwide provider of laser-based medical systems, delivery devices, and consumable instrumentation for the treatment of glaucoma and retinal diseases. We maintain a deep commitment to the success of our customers, with comprehensive technical, clinical, and service support programs. Our products are sold in the United States through a direct sales force and internationally through a combination of a direct sales force and a network of 70 independent distributors into over 100 countries. For more information, visit iridex.com. 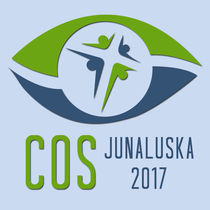 To assist ophthalmologists working in areas of high need globally to accomplish their goals in humanitarian cataract surgery. To create innovative mobile products for ophthalmic surgery in developing countries. To create affordable products that are economically viable for global use. eyeMobil is happy to launch a portable surgeon's stool at the 41st COS meeting! The Christian Eye Network serves the small niche of ophthalmologists, optometrists, and eye care providers who are in the body of Christ by helping recruit and place ophthalmologists and optometrists for your practice. We are also available to offer pro bono recruitment of staff for your mission trips or help you connect with mission opportunities globally or in the U.S. We see ourselves as a gathering spot, a resource, and a place of encouragement for this unique community. We want to help you get connected for Missions, Ministry and Work. Please talk with us while you're at the COS meeting. We'd love to meet you! Bausch + Lomb, a Valeant Pharmaceuticals International, Inc. company, is a leading global eye health organization that is solely focused on protecting, enhancing and restoring people’s eyesight. Its core businesses include over-the-counter supplements, eye care products, ophthalmic pharmaceuticals, contact lenses, lens care products, ophthalmic surgical devices and instruments. Bausch + Lomb develops, manufactures and markets one of the most comprehensive product portfolios in the industry, which is available in more than 100 countries. Global Sight Network™ is a service of the Alabama Eye Bank that began in 2008 to re-purpose medically eligible corneas not suitable for optical keratoplasty, through long-term preservation in glycerol. Our vision is to provide GlycerolPlus Corneas for surgeries in domestic and international settings, in an evidence-based, regulation-compliant, and financially sustainable manner. "More than 32,000 patients are seen each year at the Lighthouse for Christ Eye Centre, 4 Lighthouse coastal satellite clinics and in Mobile Eye Camps. In2015, over 2,400 major eye surgeries were performed and nearly 6,200 eye glasses were dispensed. Over 80% of the patients are the Unnreached or followers of traditional tribal religions. Many would never darken the door of a church but are willing to listen to a gospel presentation which includes the “Jesus” film and a personal witness. This all occurs while patients wait for medical treatment along with family members or at any of our "Bush" eye camp outreaches. Last year there were over 3,700 that prayed to receive Christ. Volunteer ophthalmologists from the U.S., Canada and Europe serve short-term 2-4 weeks throughout the year conducting sub-specialty outreach such as: cataract, cornea, pediatric, glaucoma, plastics and medical retina.They also share hands-on training for our 3 Kenyan national eye doctors, equipping them with the latest technique in surgery and diagnostics." SEE International provides sustainable medical, surgical and educational services through volunteer ophthalmic surgeons with the objectives of restoring sight and preventing blindness to disadvantaged individuals worldwide. Following Christ in changing lives, one eye at a time. Empowering the poor through sight restoration on a global scale in the name of Christ. We equip, enable, and train leaders in sight restoring skills and in Christ-like qualities through international mission endeavors, training camps, conferences, digital resources, networking, and devotionals in order to give high quality vision care to the physically and spiritually blind around the world. The medical arm of Samaritan's Purse places volunteer Christian physicians, dentists, and other medical personnel in mission hospitals and clinics around the world. We also staff a biomedical department and warehouse that provides critically needed medical equipment and supplies to medical mission facilities. 1. Gain a broadened perspective on integrating excellence and what that means practically for training, practice and/or surgery. 2. Understand how commitment to excellence for family, mission or ministry, is critically important to the practice of medicine at the highest level. 3. Discuss at least 3 positive changes that they have been challenged to incorporate into their professional lives. Discuss the role of God and Heaven topics in an academic environment. 1) Explore current techniques and devices in ophthalmology for use in a developing world setting. 3) Stimulate thinking about multiple pathways to become involved in caring for underserved populations. We will have a short meet and greet followed by a hike and then at 11:00 AM we have a Boat Tour scheduled. We will have introductions and then a discussion about our event schedule for the rest of the conference. See you then. 1. Participants will be able to list some common challenges faced by phaco surgeons as they transition to learning MSICS. 2. Participants will be able to identify techniques to avoid common complications and challenges faced by beginning MSICS surgeons. 3. Participants will see why it is important to be proficient at this procedure for both missions and their home practice. CJ and Lauren Siapco will be leading the female spouses each morning. Helen will share her joys, struggles and strategies with the group for this very important topic. 3) to learn to implement the recommended public health strategies to address trachoma and onchocerciasis. Recognize the relationship between cataracts and glaucoma with respect to the role of Micro Invasive Glaucoma Surgery (MIGS) in low resource settings. Describe the physiology of the supraciliary space and potential ways it relates to the treatment of glaucoma. Evaluate the role of a supraciliary MIGS device based on results from a randomized, controlled trial (COMPASS). 3) be able to explain different situations for when the MIGS devices may be used to lower intraocular pressure. 2) understand how MIGS can be used in mild, moderate and severe glaucoma. 3) note the differences of opinion among different specialists as to how MIGS can be utilized. 3. Understand the importance of advocacy for excellence in eye care for our patients. I will be sharing about our family and our team in Burundi with the focus on what God has been teaching me about loving others & dealing with conflict. Those who desire or experience close community dynamics at home will have interest. Teams compete in North Carolina-themed events for fun and to glorify the Lord through laughter and fellowship. A local band will be on hand in this open air venue. ALL ages welcome, ages 9+ are encouraged to participate!